As any homeowner can appreciate, your home’s roof is under extreme pressure from Mother Nature’s elements. 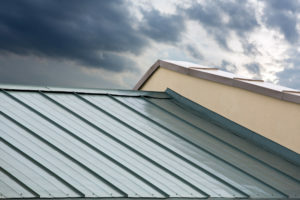 The sun, wind, and precipitation combine to stress the roofing system in a wide variety of ways including discoloration. Therefore, the National Roofing Contractors Association recommends that homeowners inspect their roofs at least twice a year for obvious damage like loose or missing shingles. Additionally, its recommended to get a professional inspection every 3 to 5 years to ensure the life and longevity of the roof. 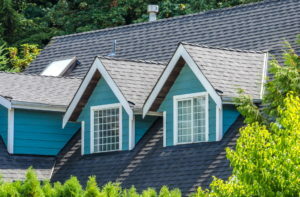 During these inspections, if anything is amiss, it is prudent for homeowners to have their roof professionally repaired and maintained in a timely fashion. That being said, even when you follow these recommendations, you may oftentimes see discolorations forming on your roof. In some cases, the discoloration has no bearing on either the short term or long-term status of the roof. There are situations however, where discoloration can be a sign of damage. Since various factors cause roof discolorations, it is important to understand the different forms of discoloration as well as their possible solutions. Below, we will explore the top 3 discoloration causes and the correlating solutions for each problem. What can appear as a dark greenish black streak on your roof is a sign that you may have an algae problem. This type of algae stain typically forms on the north-facing slope of a roof. The oftentimes humid and damp conditions of the northern-facing side of a roof can provide conditions that easily allow algae to thrive. This occurs because typically, this side of the roof is not exposed to direct sunlight. Therefore water from precipitation or humid conditions can stay trapped on various parts of the roof, resulting in green or black streaks on the roofing shingles. Algae feed on the limestone that is used in the fillers around the asphalt shingles. Unfortunately, algae can infest your roof, trapping moisture and eventually causing water damage. Additionally, algae discolors the roof affecting the aesthetics and overall curb appeal of your home. If left unchecked, algae will eventually combine with fungi to form a lichen. And unlike algae, lichen is very difficult to get rid of. To best deal with this problem, roofing shingle manufacturers are incorporating zinc and copper into their products. These substances deter the growth of algae. However, if your roofing system does not have this kind of inherent protection system, you can hire a roofing specialist to power wash or chemical wash your roof to get rid of the algae until you’re ready to update your roofing system entirely. 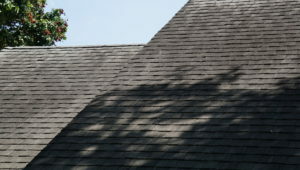 When your asphalt roofing shingles have reached the end of their lifespan, it is common to see black streaks appearing on your roof. Over the shingle’s lifetime, they are exposed to a multitude of environmental extremes. 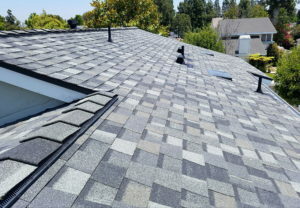 From ultraviolet rays and high winds, as well as thermal shock, which causes the shingles to expand and contract, your roofing shingles bare a heavy burden. These extreme environmental elements can cause the shingles to deteriorate immensely over time. Consequently, this deteriorating causes the pigments of black asphalt in each shingle to rise to the surface in a process called asphalt bleed-through. These pigments can then bleed off the roof in a runoff after heavy rain or snowfall, forming black streaks of asphalt particles. This process can also occur with relatively new roofing materials if the shingles are of lower quality. For this problem, it’s best to consult roofing professionals. They will be able to identify whether this asphalt bleed-through is from low-quality materials or if the roofing materials are at the end of its lifespan and need to be replaced. Metal roofs or roofs with metal fixtures are highly likely to see dark red or brown discoloration. This is an indication that your roof has rust stains. If your roof uses metal materials, the red stains will be more widespread and become more obvious with time. However, if you have a roof with metal elements such as a metal chimney, metal flashing, antenna mounts, or any other metal components, the rusting discoloration will appear just around the metal components. In the case of rust-induced stains, it’s important to ensure that the flashing and other metal components have not compromised the integrity of the roof, putting it in danger of leaking. If everything looks okay and you or your roofing professional feel you do not need to replace any metal components, stains from the roofing materials can be treated with vinegar or oxalic acid. This helps to protect the metal components from further rust damage. However, if the majority of your roofing materials are metal, the best and longest lasting solution is to hire professional roof painters. A layer or two of roof paints will protect the materials from elements like oxygen and water that corrode the metal sheets. If your roof has a stain or discoloration that you’re unsure about, make sure to schedule an inspection with a local roofing contractor. Mancilla Roofing & Construction provides professional and accurate inspection services for both residential and commercial properties. Call us today to set up an appointment!